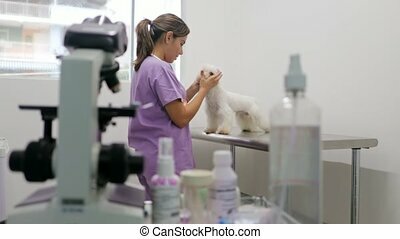 Girl with a dog in the office of a veterinarian at a veterinary clinic. 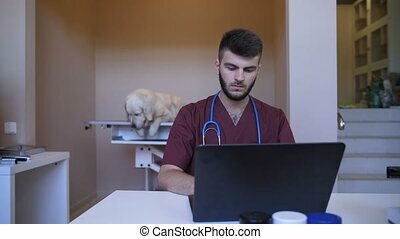 Doctor in medical clinic working at computer. 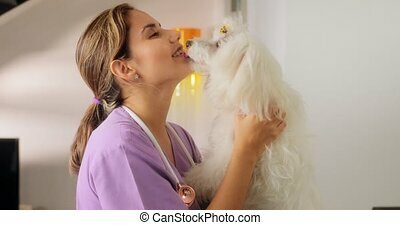 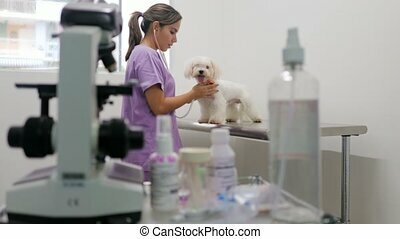 Woman with a dog in the office of a veterinarian at a veterinary clinic. 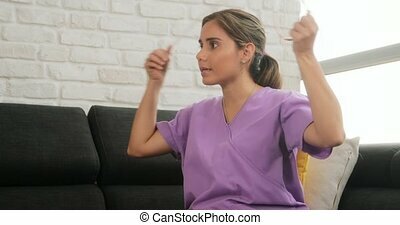 Doctor woman in a medical clinic working at computer. 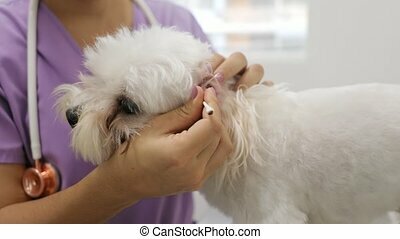 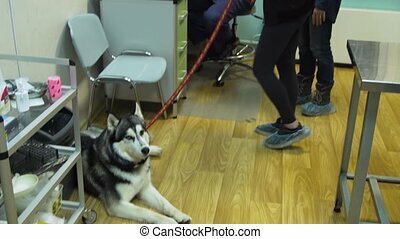 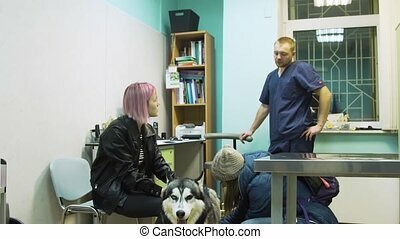 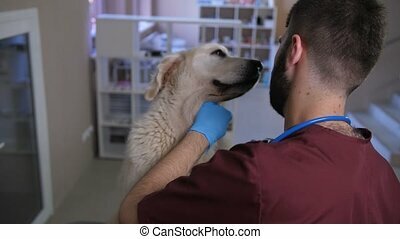 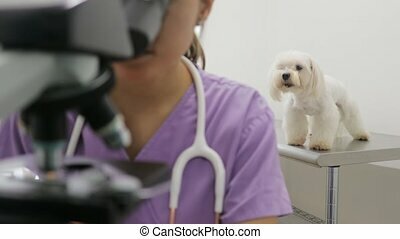 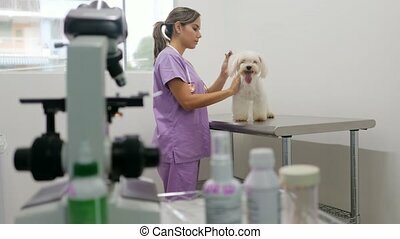 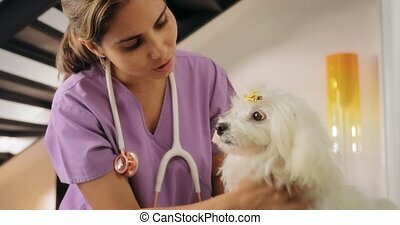 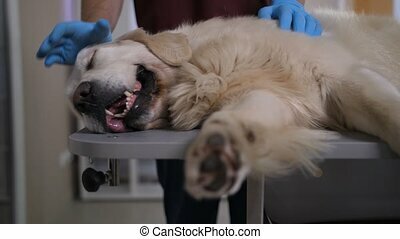 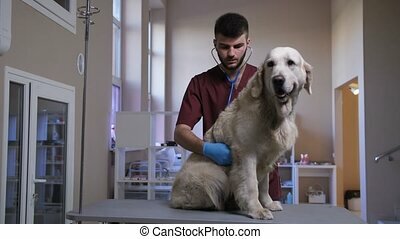 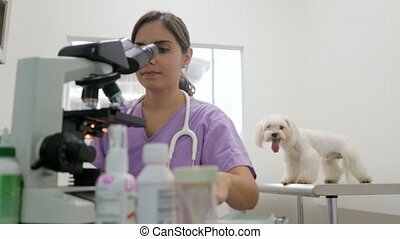 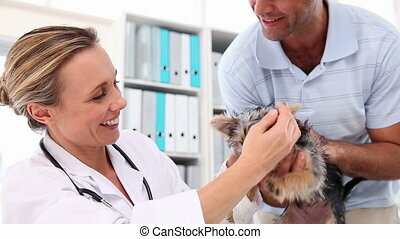 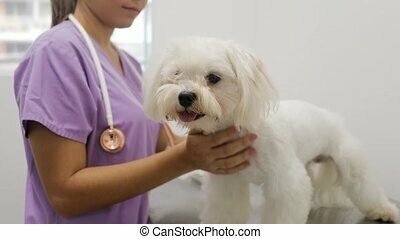 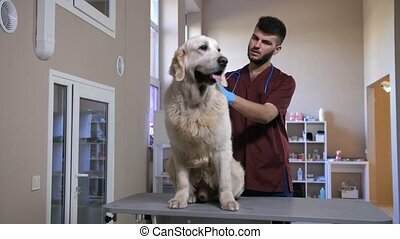 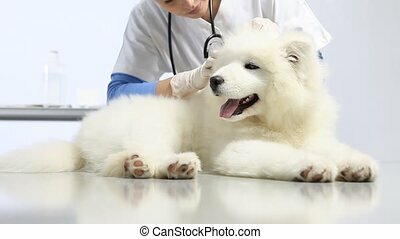 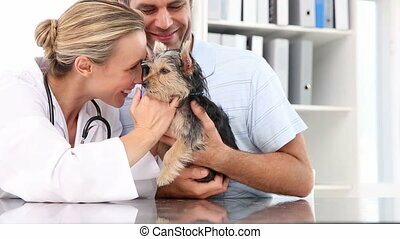 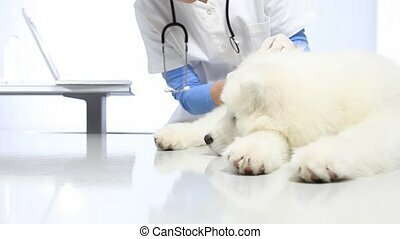 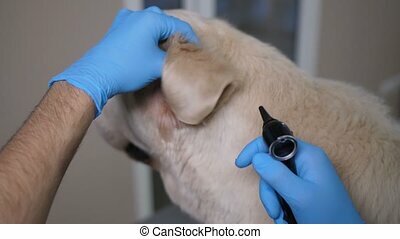 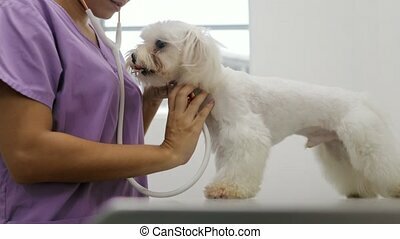 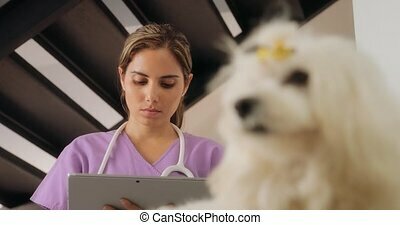 Veterinarian examining dog on table in vet clinic. 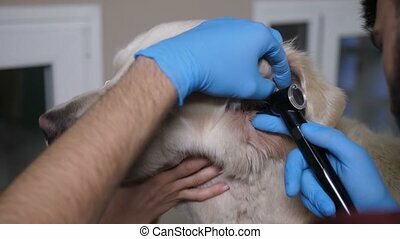 exam of teeth, ears and fur.